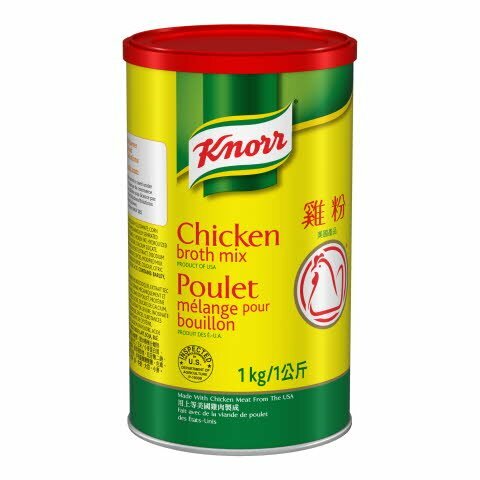 Knorr Chicken Powder uses lots of real chicken meat to deliver the perfect flavour boost for enhanced umami in your chicken dishes. Dissolve one slightly rounded teaspoon (5 g) of mix into each cup (250 mL) of boiling water. Gives dishes a well-balanced chicken umami flavour and aroma. Great for use in stir-fry, soups, marinades.